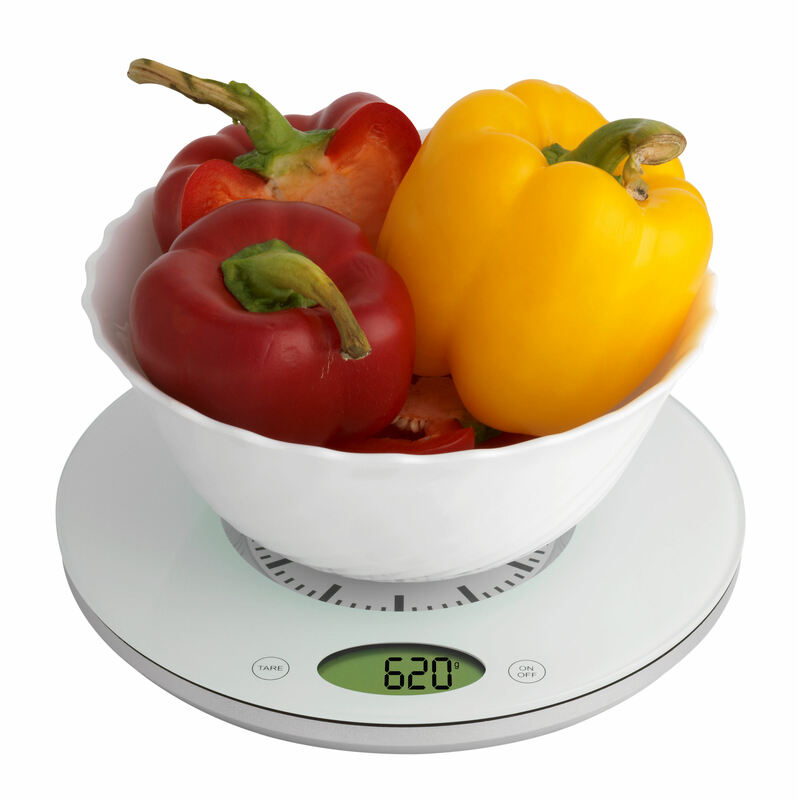 Whether for delicious baking or new cooking ideas, a reliable kitchen scales is a must-have device for any good kitchen. How else could you measure the correct amount of ingredients for your recipes? 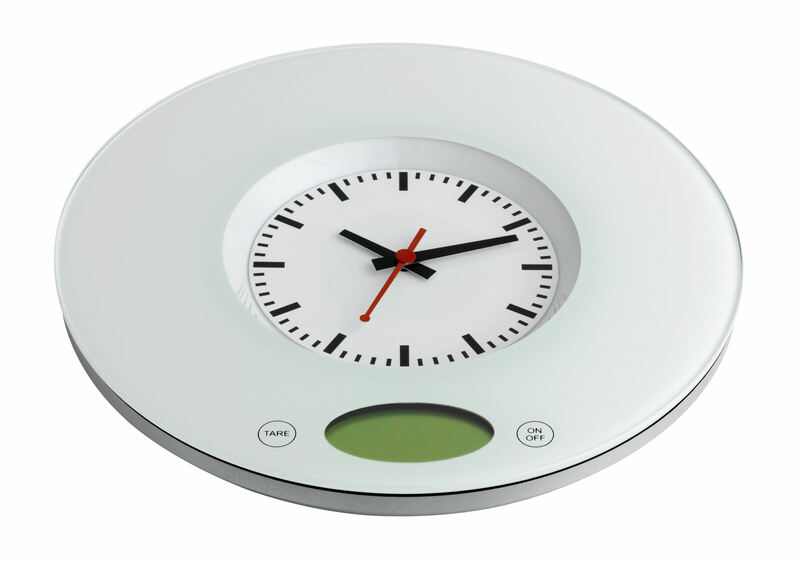 This modern kitchen appliance not only gives you the precise weight, but also the current time, thanks to its integrated quartz clock. 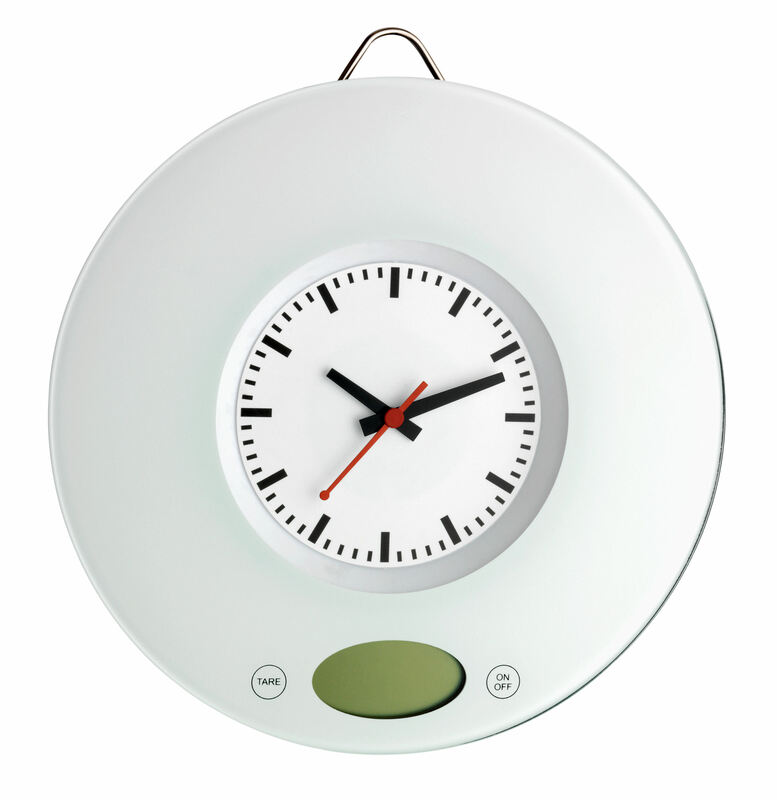 With its modern slimline surface, it can be neatly stowed in the drawer to save space or hung on the wall as a decorative kitchen clock.